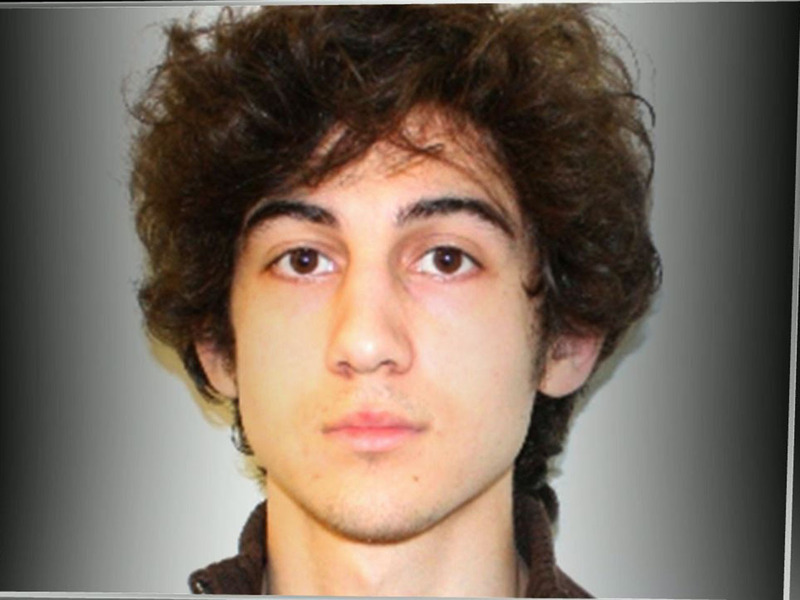 BOSTON Boston Marathon bombing suspect Dzhohkar Tsarnaev was moved from a hospital to a federal prison medical center, while FBI agents searched for evidence Friday in a landfill near the college he was attending. Tsarnaev, 19, was taken from Beth Israel Deaconess Medical Center, where he was recovering from a gunshot wound to the throat and other injuries suffered during a getaway attempt, and transferred to the Federal Medical Center Devens, about 40 miles from Boston, the U.S. Marshals Service said. The facility at a former Army base treats federal prisoners. CBS News senior correspondent John Miller told CBS Radio News that transferring Tsarnaev gets the hospital out of a delicate situation. "There was some tension there," said Miller. "There were many victims of the Boston bombing in Beth Israel hospital who didn't want to be in the same hospital with one of the people allegedly responsible." Miller reports Tsarnaev's transfer was done in early morning hours in the dark of night to avoid any security issues. "A hospital is a place where the United States Marshals Service can keep a prisoner under guard, but it's not the ideal situation they would have in a prison hospital environment," Miller said. The facility, on the decommissioned Fort Devens U.S. Army base, treats federal prisoners and detainees who require specialized long-term medical or mental health care. On Thursday, New York officials said Tsarnaev and his older brother and fellow suspect Tamerlan Tsarnaev planned to attack Times Square. "The surviving attacker revealed that New York City was next on their list of targets," New York Mayor Michael Bloomberg said. "He told the FBI, apparently, that he and his brother had intended to drive to New York and designate additional explosives in Times Square." Also, FBI agents picked through a landfill near the University of Massachusetts Dartmouth, where Tsarnaev was a sophomore. FBI spokesman Jim Martin would not say what investigators were looking for. An aerial photo in Friday's Boston Globe showed a line of more than 20 investigators, all dressed in white overalls and yellow boots, picking over the garbage with shovels or rakes. "They're searching for a laptop," Miller said on "CBS This Morning" Friday, "but they're also searching for anything else that would have gone out in that same trash, and that could be bomb-making components and other things. The laptop, though, if they find it, would be what they're hoping to have as a treasure trove because it would show online places, email contacts and so on. Now, they can still get some of that off the servers from the providers." New York Police Commissioner Raymond Kelly said Dzhokhar Tsarnaev told interrogators from his hospital bed that he and his brother had decided spontaneously to drive to New York April 18, three days after the deadly attack at the marathon's finish line. There, Kelly said, the brothers wanted to launch an attack with their five pipe bombs and a pressure-cooker bomb like the ones that blew up at the marathon. Kelly said that the city was notified by the FBI's Joint Terrorism Task Force Wednesday night about the brothers' intentions. Dzhokhar Tsarnaev traveled to New York at least once last fall. There is a photo of the suspect in Times Square. The plan fell apart after the Tsarnaev brothers were intercepted by police in a stolen car and got into a fierce gun battle that left Tamerlan Tsarnaev dead, Kelly said. "We don't know if we would have been able to stop the terrorists had they arrived here from Boston," Bloomberg said. "We're just thankful that we didn't have to find out that answer." Miller reported that from the moment the NYPD understood that the explosions at the Boston Marathon were the result of a bombing, they snapped into place a well-honed plan. It's called the critical vehicle response and it involves flooding anything that could be the next possible target with an overwhelming show of force. That show of force was Times Square. It's part of a strategy to help prevent coordinated attacks at multiple locations. As for what Kelly meant by the brothers being spontaneous, Miller said that once they were identified they knew things had to speed up. "So they went from being organized bombers to disorganized bombers," Miller said. "And I guess the irony here is if they had actually completed their drive to Times Square to place their bombs, what they would have run into was a couple of hundred cops waiting for them." The younger Dzhokhar is charged with carrying out the Boston Marathon bombing that killed three people and wounded more than 260, and he could get the death penalty. Kelly, citing interrogations carried out by the task force investigating the Boston Marathon attack, said that days after the bombing, the Tsarnaev brothers "planned to travel to Manhattan to detonate their remaining explosives in Times Square." "They discussed this while driving around in a Mercedes SUV that they hijacked after they shot and killed the officer at MIT," the police commissioner said. "That plan, however, fell apart when they realized that the vehicle they hijacked was low on gas and ordered the driver to stop at a nearby gas station." The driver escaped and called police, Kelly said. That set off the gunbattle and manhunt that ended a day later with Dzhokhar captured and 26-year-old Tamerlan dead. Miller told CBSNews.com that the amount of fuel in the car's tank wasn't the major obstacle in the brothers' plan. "It wasn't but for a tank of gas in the car," said Miller. "It was but for running into a bunch of cops with 200 machine guns." On Tuesday, Miller reported on "CBS This Morning" that, according to investigators, the carjacking victim speaks little to no English, but authorities pressed him to remember recognizable words from his exchange with the bombing suspects. The suspects openly boasted to the victim in English about their role in last week's bombing and carried out the rest of their exchange in Russian, Miller reported. Miller reported that the victim said, "The only word I recognized was Manhattan," a word which "tripped a lot" of alarm for authorities, who quickly halted Amtrak service from Boston to New York and searched the trains. The tip prompted the New York Police Department to "flip on its network of license plate readers at all bridges and tunnels coming into the city," Miller said. "They loaded all the license plates associated with these guys" to prevent possible entry into Manhattan. On Wednesday, Kelly told reporters that he was told Dzhokhar Tsarnaev may have been intending to come to New York to party, or for a party, sometime after the bombings. After his arrest, Dzhokhar was interrogated in his hospital room over a period of 16 hours without being read his constitutional rights. He immediately stopped talking after a magistrate judge and a representative from the U.S. attorney's office entered the room and gave him his Miranda warning. Tamerlan had come under scrutiny from the FBI, the CIA and Russian intelligence well before the Boston attack. The CIA had added Tamerlan's name to a terrorist database 18 months ago, after Russian intelligence flagged him as a possible Muslim radical, a U.S. official told Miller Thursday.